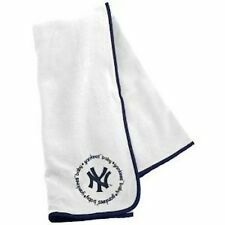 MLB New York Yankee Baby Lovey Security Blanket Bear Baseball Blue/Silver 14x14"
NYY New York Yankees PRINT Kids or Baby size Fleece Blanket 35" X 28" Cute!!! 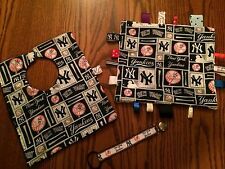 NYY New York Yankees PRINT Kids or Baby size Fleece Blanket 39" X 29" Cute!! !